We know few details about the trading vessels plying the waterways of Norfolk and Suffolk in the 1700s. In the next century the artists of the Norwich School and then the Broadland photographers of the late Victorian age captured them for posterity. That is why Mary Hardy’s diary is of such value. In the 1770s she lived beside the River Bure at Coltishall, near the church. Her husband William was a maltster and brewer, and relied on keels and wherries for his business. 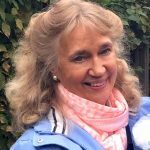 The Norfolk Wherry Trust are hosting an illustrated talk by Margaret Bird, the editor of Mary Hardy’s diary, on ‘Keels and wherries in the 18th century‘. 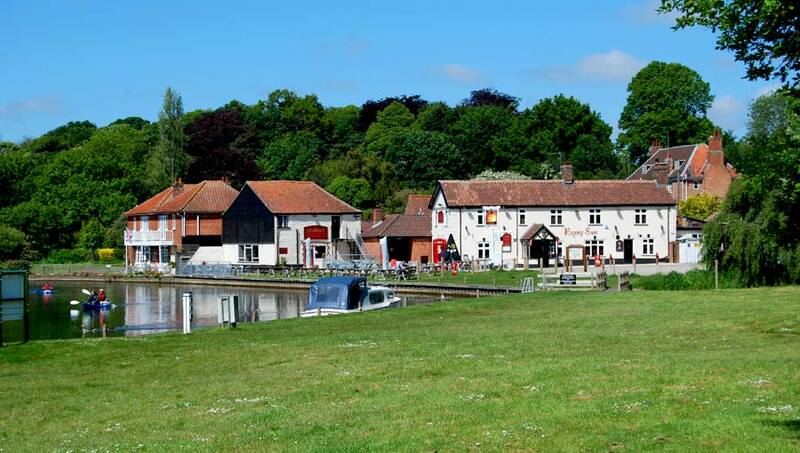 It will be held at Ludham Village Hall, in the heart of the Norfolk Broads, on Tuesday 7 October 2014 at 7.15 pm. More details are given below about this event. 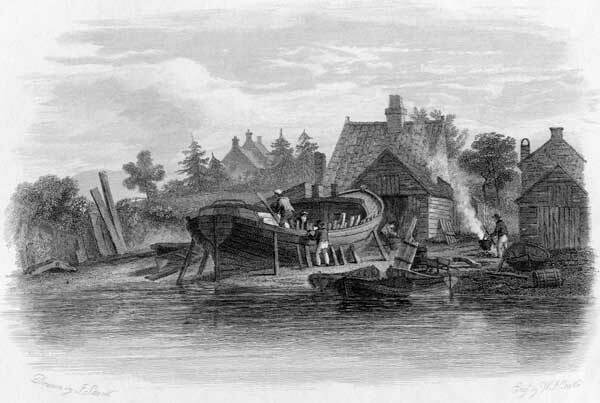 The Hardys commissioned their own small wherry, William and Mary, in April 1776. A local merchant, who also supplied the timber for the Aylsham navigation, found them the wood. The builder was a very young man named Stephen Wright, whose yard lay beside today’s Rising Sun just upriver from Lower Common at Coltishall. It took him only four months to build the wherry. 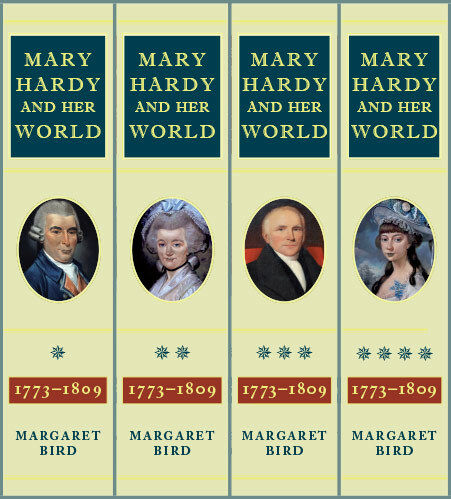 The building went smoothly—but not the launching, to Mary Hardy’s irritation. 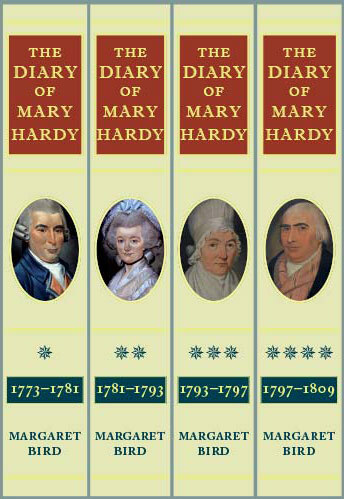 The Hardys invited a party of friends to the launch on 22 August 1776. These included the village schoolmaster, a local merchant (himself a keel-owner), an auctioneer and plumber and lastly the butcher, with their families. A very fine day. Launched the new wherry this afternoon, named her the William and Mary. Mr and Mrs Dancer and Miss Gooch dined here and drank tea on board the wherry. Mr and Mrs Smith, Mr Fiddy and daughter, Mr Ansell and Mr Easto drank tea with us, the gentlemen stayed till past 12 o’clock and were very drunk. Mary Hardy had to pay for the broken glass the next day. Her husband still had a hangover: he was ‘very ill’. Members of the Norfolk Wherry Trust can attend free of charge. Non-members are welcome, but will be asked to pay £2 on the door, to help with expenses. There is more about this talk and the venue on the previous news item.